A change in the law will see some 70 non-EU trained nurses added to the public health sector after they had to work as carers for months. The move comes amid repeated calls to address the nurse shortage at hospitals and health clinics. 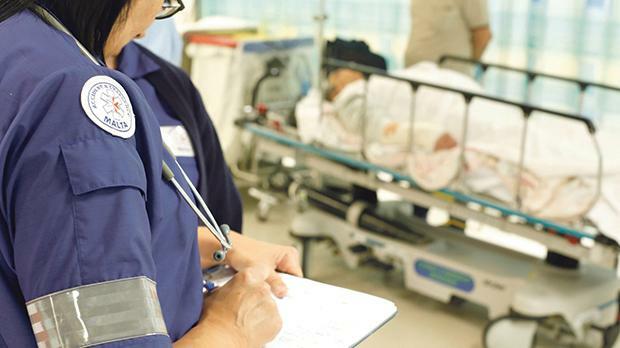 The Times of Malta reported last week that nurses not trained in EU countries have not been allowed to work as nurses for almost a year pending changes to the registration process. Instead, they have been working as carers, sources said. In comments to Times of Malta, Health Minister Chris Fearne confirmed that a legal notice, due to be published in “less than two months” would enable the Nursing and Midwifery Council to accept applicants irrespective of where they had received training. “We expect that once this process starts there will be some 70 nurses joining our workforce,” Mr Fearne said. Pressed to say why it has taken so long for the necessary amendments to the current registration process to be approved, even though the government was on the record admitting there are serious staff shortages, Mr Fearne skirted the question, insisting instead that the council is “autonomous” and it was only last month that its president approached the ministry requesting the change. On why non-EU trained nurses and midwives were subject to different processes to be registered, Mr Fearne explained these nurses, mainly those coming from Asia, required an “adaptation course” since their practices tended to be different from those expected of nurses working locally. When nurses coming from abroad sign up to register, he added, their qualifications are analysed by the Education Department to ensure the same topics were covered as those of local institutions. It is then that the council decides if the nurses needed to take the course or not. “When the council came to offer such course, they realised that the law did not permit this and so a few weeks ago they requested the changes to the law, which I then discussed at Cabinet level. The changes were then approved a few weeks ago and will come into force soon,” the minister said. According to the Health Ministry, a call for expressions of interest to engage mentors for the programme had been compiled and would be issued soon.